Hollidaysburg, PA Stiffler McGraw, a full service consulting firm offering civil engineering, surveying and architectural design services, is pleased to announce they competed against other engineering firms in the area by collecting donations for the American Rescue Workers (ARW) for the eighth year. The 8th Annual Engineers Fight to CAN Hunger competition officially began on February 1st and ran through National Engineer’s Week; February 19th through February 25th. During this time frame, the participating engineering firms collected donations from employees and any cash donations received was put towards a shopping trip to purchase more items. The food collected was delivered to the American Rescue Workers on Friday, February 24, 2017. Each firm’s donation was loaded on a pallet jack and weighed. The winner was determined by dividing the firm’s number of employees into the weight; the firm with the highest weight per employee won. 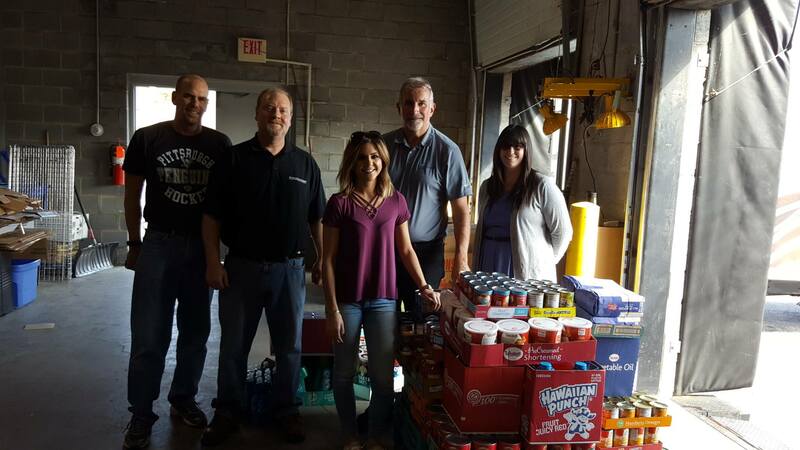 This year’s winner was McLanahan Corporation with a total of 5,671 pounds collected with 195.55 pounds per employee. This year’s competition involved, Stiffler McGraw, Keller Engineers, Gwin, Dobson and Foreman, McLanahan Corp. Admin & Engineering and P. Joseph Lehman. The competition is formed to help those in our community who need it most. All firms participating are here to make a difference, give generously and help those in our community who need it most.